The Study and Coach function is free for all healthcare professionals that want a easy way to follow their clients progress using a ketogenic diet. A doctor, nutritionist could with one click create their own "study". The "study" is a group of clients that one wants to access their logged breath acetone and other data points like nutrients and exercise. First the doctor/dietitian/nutritionist/coach selects Create Study, then choose a name which identifies the group of clients who is targeted. The result is a pair of keys, one is the Study Id the other is a Study Key. There is also a third key generated, the Resign Key. The Resign Key is only available to the clients on request to stop participating in the study. The two first keys, Study Id and Study Key is distributed to the clients that would participating in the study. By entering the keys in the enrolment form, the clients are enrolled to the study. Now the doctor/dietitian/nutritionist/coach can in one click download the data files for the enrolled clients. 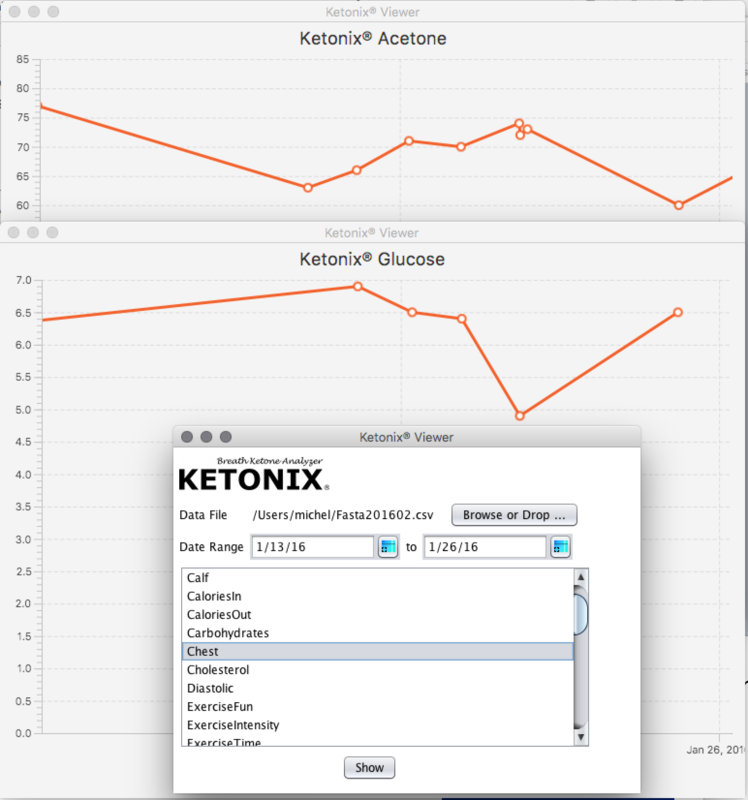 To view and analyse the data is as simple as dropping them on the KetonixViewer app. More advanced users might use their own spreadsheet functionality for analyse. If this sounds interesting, please contact support@ketonix.com and we can guide you through how to set this up to coach your clients. We also have a startup package deal for medical healthcare professionals, contact support@ketonix.com for a quote.